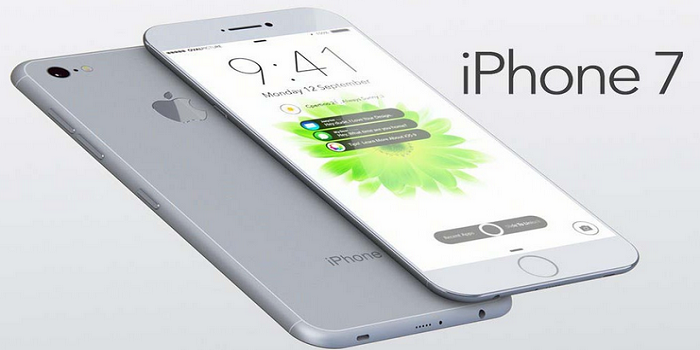 The new iPhone 7 internal design is going to bring some big changes. With the launch date confirmed and drawing closer, several exciting details about the anticipated device has leaked and rumors intensified, giving us more ideas about what to expect. In Dubai, pre-order for Apple’s yet-to-be-unveiled iPhone 7, Plus and Pro has gone “live” but in all, very little is known about what iPhone 7 internal design looks like, until now. When it comes to predicting yet-to-be-released Apple devices, KGI Securities’ Ming-Chi Kuo has always been one of the most reliable sources. A weekend report from KGI, which 9to5Mac got a hold on, is shining some last minute details on the iPhone 7 internal design as well as reaffirming everything we’ve already heard. According to the report, the iPhone 7 screen display will also be getting an upgrade. Apple’s new iPhone is expected to have 4.7-inch screen while the bigger iPhone 7 Plus will have a 5.5-inch display. The display technology that makes visual features of the 9.7 inches iPad Pro to standout will be integrated into iPhone 7. This means the iPhone 7 display will be able to render wide-color imagery. This will help boost the appearance of the photos taken by the new cameras on the iPhone 7. With Samsung Galaxy Note 7 featuring 6GB RAM together with a 128GB onboard storage, Apple is finally killing the 16GB storage option. The iPhone 7 internal storage will only come in 32GB, 128GB and 256GB sizes. The 64GB storage option too will disappear. The 4.7-inch iPhone 7 retains the 2GB RAM on the iPhone 6s, but the bigger model is getting an upgrade. Apple is fitting a 3GB random access memory on the iPhone 7 Plus. Another major upgrade, as claimed by the report is faster internal performance on the iPhone 7. The iPhone 6s comes with an unbeatable A9 chip with maximum clock speed hitting 2.4 GHz but the upcoming iPhone 7 will be powered by a new Apple A10 SoC manufactured by TSMC using a new ‘InFO’ process technology. More interesting features is again revealed on iPhone 7 internal design. The KGI reports says, though the smaller iPhone 7 camera will come with major upgrades, only the iPhone 7 Plus will come with a brand-new dual camera system–one is a wide-angle camera and the other is a telephoto lens. The report explained that both cameras will feature 12 megapixel sensors, adjusting DoF with optical zoom and ‘light field camera applications’ options enabled. The expected camera upgrade on iPhone 7 includes a new camera flash component to improve photos taken in low-light situations. Also, Apple will be boosting the number of LEDs from two to four (two cool, two warm) to create a more effective True Tone flash in the upcoming handsets. The proximity sensor component which makes ‘switching from LCD to laser’ possible will be upgraded with faster response times and longer recognition distance, with support for hand-waving gesture features. The inclusion of such gestures is not confirmed, however. The new iPhones will also be waterproof with an IPX7 rating, this is the same as the Apple Watch. This rating means the hardware will be able to withstand immersion in water up to 1 meter for up to 30 minutes. According to KGI, Apple’s high standards for waterproofing have impacted the supply chain and lowered total production of iPhone 7. KGI’s Ming-Chi Kuo says that the iPhone 7 will be offered in two new case colors which are called “dark black” and “piano black”. Space Grey — as it is exists today — will be removed from the lineup meaning iPhone 7 and iPhone 7 Plus will be offered in a total of five colors. While Apple battles the new iPhone’s touch disease and legal issues, the Bill Graham Civic Auditorium in San Francisco will not fail been crammed to the rafters with press and Apple well-wishers waiting for the pomp, circumstance and technical revelations of another iPhone launch.